Naomi grew up in New York City and lived in the Midwest and New England before moving to Santa Barbara in 1967 where she raised her four children. The 1969 oil spill propelled her into the political arena. Naomi worked for State Senator Gary Hart and was appointed by Governor Jerry Brown to the California Coastal Commission. In 1992 she was elected County supervisor and served three terms. After retiring in 2004 she became the Executive Director of the Gildea Foundation and served on the Dean’s Council of the Bren School. Ms. Schwartz was Chair of the Santa Barbara County Association of Governments (SBCAG) in 1993 when Caltrans presented plans to widen Highway 101 south of Milpas Street with a standard design that would have transformed this scenic corridor into a barren, concrete channel. Ms. Schwartz convinced her reluctant colleagues at SBCAG to conduct an in-depth traffic analysis of the corridor and to establish an advisory “Highway 101 Task Force”. From this process emerged a series of “Operational Improvements” (most completed, some currently under construction) to add a third freeway lane at the most congested locations and to enhance local circulation (including alternative modes of transportation) as a way to reduce trips on the mainline. At Naomi’s encouragement, a whole new set of design guidelines were established by the County and the City of Santa Barbara to guide the aesthetics of all future highway improvements. In 2009 COAST recognized Naomi Schwartz with the Barry Siegel Award. Naomi’s daughter Deborah Schwartz joined the board of directors of COAST in 2012. 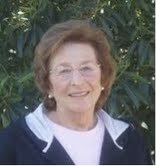 Supervisor Naomi Schwartz passed away on the morning of June 4 at Cottage Hospital due to a massive systemic infection following emergency surgery. Naomi was a great friend to COAST, and we will always be grateful for her contributions to make Santa Barbara a better place to live and get around. We will be paying tribute to her at COAST’s upcoming Fall Gathering. Our thoughts are with her and her family in these difficult times. This entry was posted on Monday, July 2nd, 2012 at 9:58 am	and is filed under Archive, In the news. You can follow any responses to this entry through the RSS 2.0 feed. Both comments and pings are currently closed.